Paul Rosen completed his Medical training at Manchester University before specialist training at the Prince Charles Eye Unit in Windsor, St Thomas’ Hospital and Moorfields Eye Hospital in London. Paul has been a Consultant Ophthalmic Surgeon at the Oxford Eye Hospital, Oxford University Hospital Foundation Trust, since 1993. He was Head of Department from 1998 to 2004 and Clinical Director of the Specialist Surgery group from 2010 to 2016. His expertise is in performing high volume cataract surgery, complicated cataract procedures and managing the complications of cataract and laser refractive surgery. He established the Retinal Surgery Service in Oxford. He trains junior doctors form all over the world in these areas of surgery, at both basic and advanced levels. 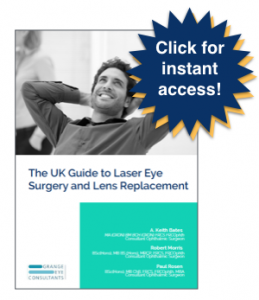 Paul first performed laser refractive surgery in 1991 at Moorfields Eye Hospital and commenced LASIK treatments in 1997. He performs over 1000 cataract/refractive surgical procedures each year between his NHS and private practices. Paul is a past President of the European Society of Cataract and Refractive Surgeons (ESCRS) the largest Society in Europe dedicated to cataract and refractive surgery, and past President of the UK and Ireland Society of Cataract and Refractive Surgeons (UKISCRS). He is also a Medical Editor of Eurotimes, a publication of the ESCRS. He has a keen interest in education and is a Senior Lecturer at the University of Oxford and an Examiner for the Royal College of Surgeons in Glasgow . As a member of the Education Committee of the ESCRS, he is actively involved in training junior surgeons and colleagues running the Didactic Cataract Surgery Course and coordinating the Instructional Course programme. He has over 50 publications in the peer reviewed literature. Committed to promoting quality in refractive surgery and valued for his many years of experience in Cataract and Laser Eye Surgery, Paul is a member of the Royal College of Ophthalmologists Refractive Surgery reference Group and the NICE Cataract Surgery Guidelines Committee. Paul is invited to lecture on cataract and refractive surgery worldwide, and regular involvement in these major subspecialty congresses ensures he utilizes the latest innovations in his clinical practice in order to maintain the highest standards. 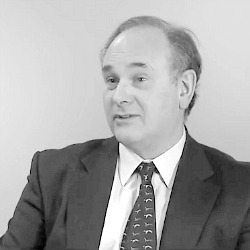 Mr Paul Rosen regularly shares updates and video blog posts on common eye treatments. If you’re seeking private eye treatment in London or Oxford, contact us to schedule a consultation with Mr Paul Rosen by calling 0800 368 9277 or contact us via this email form.